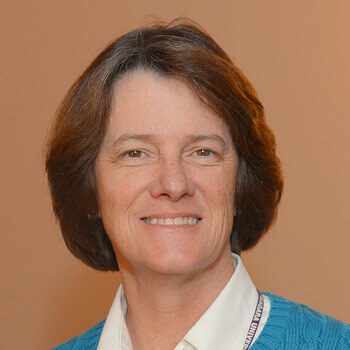 Ms. Caffrey has been the Nurse Administrator for the Brooklyn Campus of Calvary Hospital since 2006. She leads an extraordinary, interdisciplinary team of healthcare professionals in providing the same high level of compassionate care that Calvary is renowned for around the world. Ms. Caffrey is dedicated to ensuring Calvary’s unparalleled end-of-life care for the people of Brooklyn and surrounding communities. Ms. Caffrey was a key member in planning Calvary’s 2011 Palliative Care Conference in Brooklyn to mark Calvary’s first decade in the borough. The event attracted hundreds of healthcare professionals from across NYC to learn about palliative and end-of-life care. She also managed the renovation of the Rosemarie O’Keefe Memorial Garden and Patio at the Brooklyn Campus, named in honor of an extraordinary Bay Ridge native and community activist. Since the Campus’s inception in 2001, Calvary’s 25-bed unit has provided the Hospital’s signature care to nearly 4,400 patients. Ms. Caffrey graduated from Hunter College with a Master of Science degree in nursing as a Clinical Nurse Specialist. She is a frequent presenter on palliative and end-of-life care to community and professional organizations and has appeared on the Brooklyn Diocese’s NET TV channel. Ms. Caffrey has been published in the Nursing Spectrum, Journal of the Association of Nurses in AIDS Care and the Journal of Hospice and Palliative Care Nursing.